HB WHETHER ON A BUDGET OR NOT! I,m a long time pro musician and use fairly expensive guitars live on stage, however the market now includes some great "in the style of" guitars at amazing prices, witness the Harley Benton range and Vintage guitar range from Thomann. I have a few of these in my fun at home collection and also have bought some models direct from China which are simply amazing value,to me, however they do sometimes need a bit of change of parts to make them more acurate clones or simply more comfortable to play. With this in mind I started to collect spare parts from various sources, though mainly Thomann and can testify that these Harley Benton accessories are of an equal quality to items three times the price from America or the UK. They also come much quicker and with customs/ VAT paid. So not just for people on a tight budget. Give them a try. Not much to say here really. 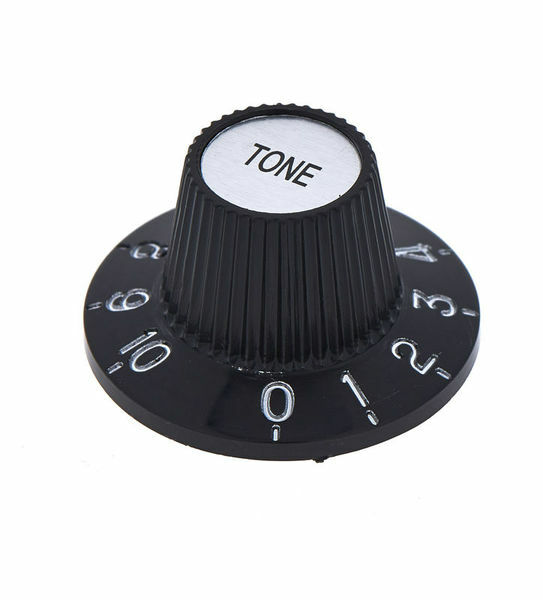 Good quality, solidly built knob, when mounted on a guitar it is sturdy and feels good to rotate. 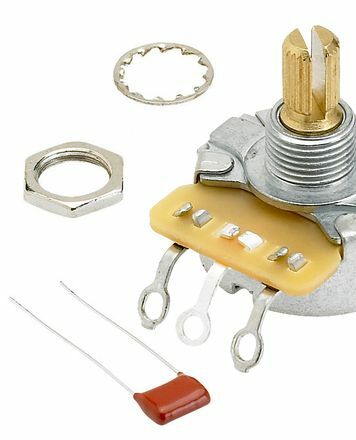 I got a pair of these, volume and tone, to replace the standard knobs on my Telecaster. I wanted 72 deluxe Telecaster style knobs - these were the closest match I could find. They look great mounted on my guitar and I'm sure they would easily also suit other types and styles of guitar. Attaching them onto the rotary pots on my guitar was simple and easy - just push them down firmly until they fit. No screws involved and they are firmly in place. ID: 284226 © 1996–2019 Thomann GmbH Thomann loves you, because you rock!